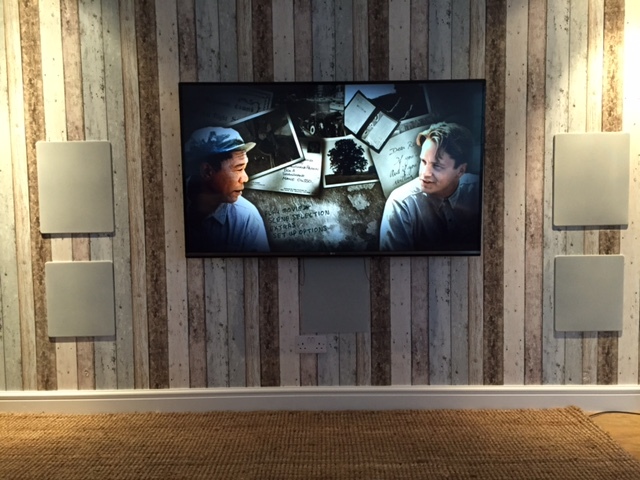 The M&K in-wall loudspeaker system is designed as part of a true full range audio system. Professionally designed and calibrated they provide deep, clear, powerful sound from a virtually invisible speaker. This system uses M&K’s new in-wall 300 loudspeakers and matching 28S subwoofers. Configured and calibrated with the world’s most versatile amplifier, the Lyngdorf TDAi2170, this combination allows the design and optimisation of active speaker systems that perfectly integrate with the acoustics of your listening room. Set up with the worlds most advanced room correction system, Lyngdorfs “RoomPerfect”, the end result is a level of fidelity and accuracy that is not possible with traditional in wall speakers.